Mark the rope and pass the ends through each other to create a locked Brummel Splice. Repeat along the rope's length to create the holes. Tie a Diamond Knot in the end. 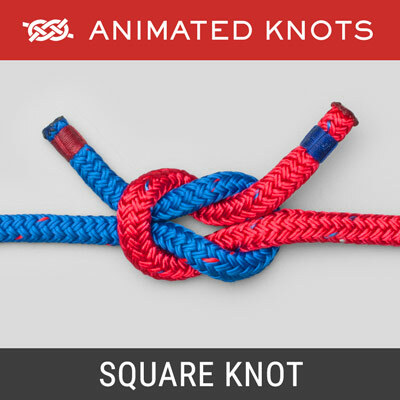 Pass the Diamond knot through a selected hole to make the Sling. Origin: Matthew Otto of the Rig Loft developed the Button Sling. 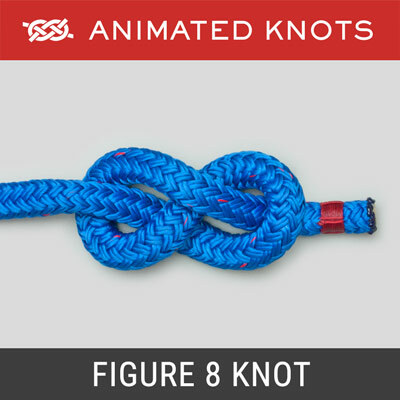 It is tied using 12-strand braided rope typically about 1/2″ (12mm) in diameter. 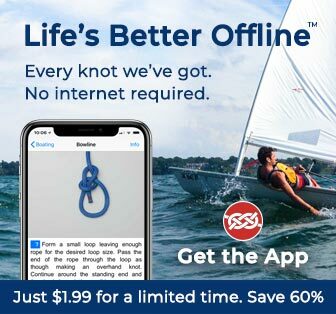 However, Otto uses a range of diameters and materials ranging from Dyneema 1.25″ or 30mm (rated breaking strain of the sling about 17,000 lbs or 750 kN) down to Polyester 3/8″ or 9mm (rated breaking strain about 800 lbs or 3.5 kN). He also uses a blend of Dyneema and Polyester. Length: The length and diameter should be suited to the intended task and should provide holes along the entire length. Here, for photography, the Sling is extremely short – only five holes plus the loop at the end. 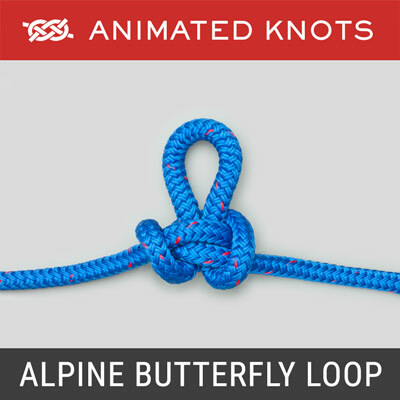 The end loop should be made to the same size so that it may also be used. 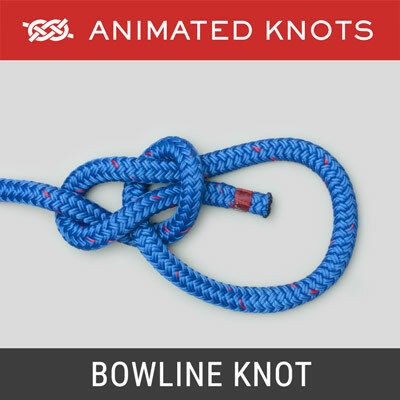 Uses: The Button Sling is commonly wrapped one full turn around the load, e.g., a spar or pole, and then the Diamond (Lanyard) Knot, or Button, is inserted through a hole chosen to make the tightest grip. As lifting is started, the Sling cinches down tightly around the load. Tied tightly, with an additional turn if necessary, a Sling can withstand an oblique load. The Diamond Knot makes an excellent Button and the ends are valuable – they are used for pulling the Button through the hole. 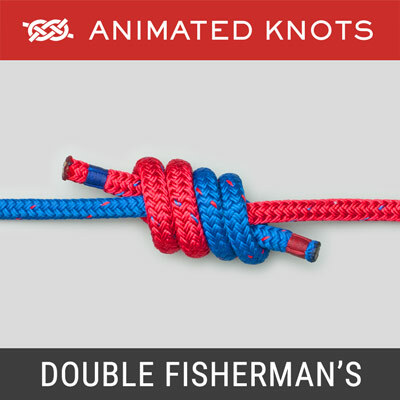 Tying it: Initially a line is made along the rope to avoid introducing rotation that would preferentially load one set of the rope’s braids and weakens the final Sling. Then the rope is marked off in equal steps at, say, ten pick intervals. Next create a tightly tied Diamond Knot and a preliminary set of Brummels to make the first few holes. Test to make sure that the Diamond Knot just goes through each hole. Finally, when the fid is passed through the rope to make each Brummel, count to see that there are six strands either side of the fid. Matthew says he commonly avoids using a fid: he tapers the end, wraps it in tape, and threads the tapered end with no fid. Variation: A Button may be placed at both ends of the Sling. However, this can be a handicap. For example, when a sling has to be passed under a spar near the ground the Button may fit less readily than the loop. Usually the sling has a Button one end a loop the other. Advantages: The Button Sling can be deployed rapidly and reliably without relying on knots. Breaking Strain: Otto rates the safe working load of one of his slings as around one sixth of the rated breaking strain for that rope. Provided you follow his advice about splicing, spacing, and avoiding rotation you may assume the same. 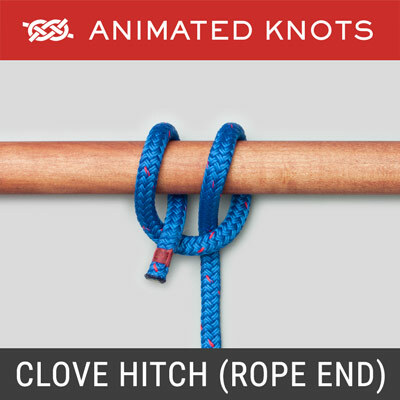 However, like any other rope, the Sling should be inspected for wear or chafing and the Diamond Knot’s ends should remain long enough for safety and to help pulling the Button through.